At the recent IFA in Berlin Panasonic showcased a host of connected lifestyle solutions under the slogan ‘A Better Life, A Better World’. The product and services on display were focused on the themes family gathering, relaxation, of food preparation, and beauty and health. They can be placed the different rooms in our homes to enhance the activity or experience of the environment. Panasonic said they want to create a connected lifestyle we all desire that is technically possible within the next five years. Panasonic has introduced a number of entertainment solutions to take advantage of the AllPlay and SAT>IP (allows for receiving TV broadcasts via LAN and wireless transmissions without using an antenna) connectivity solution. 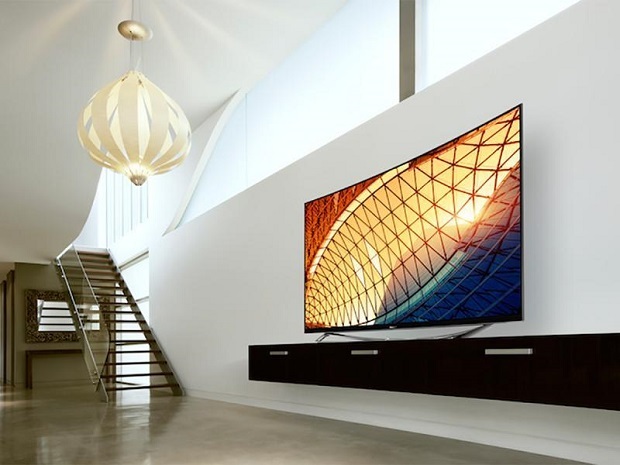 At the event Panasonic launched the VIERA “4K Pro” 65-inch OLED (organic light emitting diode) TV, developed with Panasonic latest imaging technology. The SC-ALL5CD compact stereo system and SC-ALL2 wireless speaker system were also introduced. They are compatible with the AllPlay protocol, which uses Wi-Fi to play music simultaneously on several equipment in the house. These products offer a wonderful music experience with non-compressed transmission that allows you to enjoy high-quality audio easily from a variety of sound sources such as a smartphone or tablet, streaming, CDs and radios. The Rug Speakers, which are actually embedded in the carpet are another innovative solution from Panasonic, it offers a maximum of 6.1-channel surround sound, ideal for watching movies. The sound in the rug speakers can be directed to people who want to listen to it or away from those are don’t want it. Panasonic said that through their advanced kitchen appliances and cloud services they hope to encourage families desire to have rich and healthy eating habits. Both solutions combine will make it easy to prepare nutritionally-balanced gourmet dishes. The cloud services will help by recommending recipes that match the family’s eating habits. Other Smart Appliances included: Panasonic’s refrigerators with innovative features inside, such as Vitamin Safe that keeps vegetable fresh and PerfectSolution allowing for layout flexibility inside the fridge; Panasonic’s latest washing machines are equipped with AutoCare, which use optical sensors to detects stain levels and the type of laundry detergent in use to ensure an optimum washing performance, they will also a powerful steam function to help soften the fabric without using fabric softener. The bedroom is another area that Panasonic has made some progress in the technologies that are being develop will contribute to the healthy lifestyle of an individual, by offering health and beauty information similar to that given by a professional. Its circadian lighting systems is based on human biorhythms that are repeated according to the sun's movements, will help to support a good sleep. The interactive mirror has been improved from the previous interactive mirrors and now includes features such as vital statistics check, magnifier and rear view of yourself.